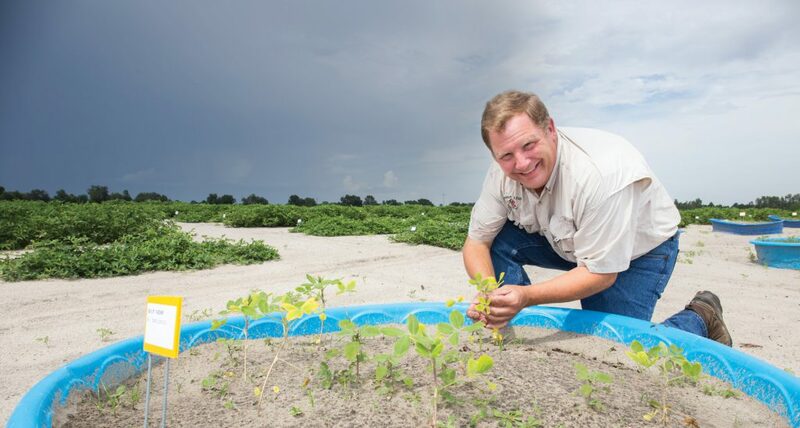 Dr. Gregory MacDonald is a Professor of Weed Science and Agronomy at the University of Florida. He first started at UF 20 years ago with a 70% research and 30% teaching appointment. Over the course of his time at UF, his appointment has shifted to 70% teaching and 30% research. Dr. MacDonald is originally from upstate New York. He received an Associate’s degree in Agricultural Engineering at Alfred State College. He completed a Bachelor’s degree at Cornell University in Plant Sciences with a focus on vegetable crop production. His Master’s and PhD programs were completed at UF in weed science. As Master’s student, Dr. MacDonald researched row crop weed science, and as a PhD student he focused on invasive plant management. Before starting as a faculty member at UF, Dr. MacDonald was an Assistant Professor at the University of Georgia with a 100% extension appointment. He managed over 20 commodities, including several fruits, vegetables, corn, cotton, and sorghum. He worked with extension agents across the state and gave 20-80 extension presentations every year. His current research program involves research on invasive species management, especially perennial grasses, and the physiological and biochemical aspects of herbicides. Dr. MacDonald also works with Florida Cooperative Invasive Species Management Areas (CISMAs), which is an alliance of stakeholders addressing invasive species management in Florida. He has several years of experience in international agronomy in Guyana and Haiti, and most recently Ghana, where he develops programs which help rural farmers with peanut production. Dr. MacDonald instructs several courses, including: Integrated Weed Management (PLS 5632), Plant/Herbicide Interaction (PLS 6655), Applied Crop Production (AGR 4214), and Tropical Cropping Systems (AGR 5277C). All of these courses count towards the Plant, Soil, and Weed Science credit requirements.